Offering hundreds of animated and still backdrops for projection! Our audience was in awe of the animated backdrops we used for Little Mermaid! Our students and I can't wait for our next show!! 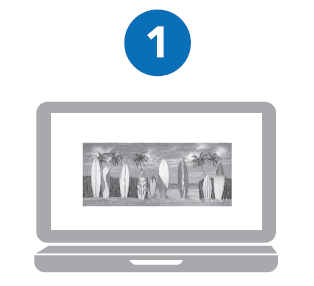 Get all Key Scenes for dozens of Popular Shows! Project your scenery and see just how easy it is! We never were able to use traditional backdrops before in our theater. Your digital backdrops though are exactly what we needed! We couldn't be happier with the easy ordering process and your App couldn't be simpler to use. Thank you Grosh - we will be using you next time. Projected Backdrops from Grosh are Easy to Use! Rent still and animated digital backdrops from Grosh's remarkable online catalog. 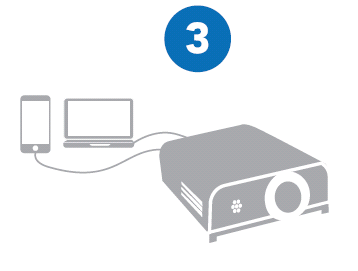 Use your mobile device OR your laptop and plug directly into your projector. 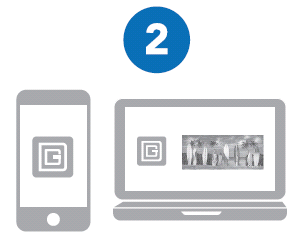 The Grosh Digital App does all the work! Make your show or event more special and more magical with beautifully designed digital backdrops. We offer a world class collection of digital backdrops depicting a variety of themes, landscapes, and other scenes for your theatrical shows, recitals, production numbers, special events, and parties. Rent scenic projections for popular school and theatre shows for 2019 including Newsies, Mary Poppins, Little Mermaid, Sound of Music, Lion King, Beauty and the Beast, Annie Jr. Interested in renting a complete set of backdrops for your upcoming performance? Look no further than the Grosh Digital Show Packages!